All questions must be answered, unless marked optional. 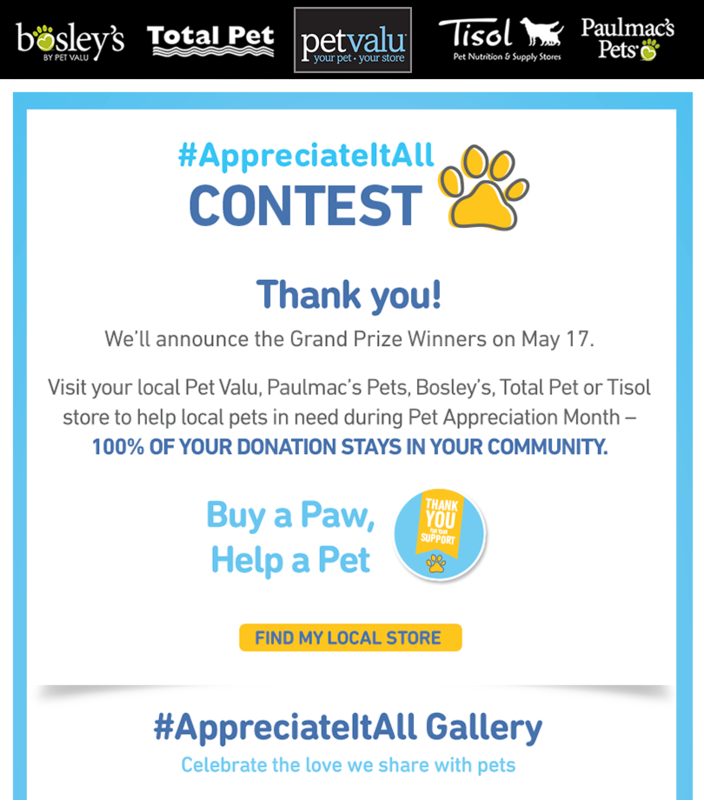 Optional: I consent to receive news, updates and promotions by email or electronic messaging from Pet Valu Canada Inc. in relation to pet ownership, products sold and services provided at Pet Valu stores. 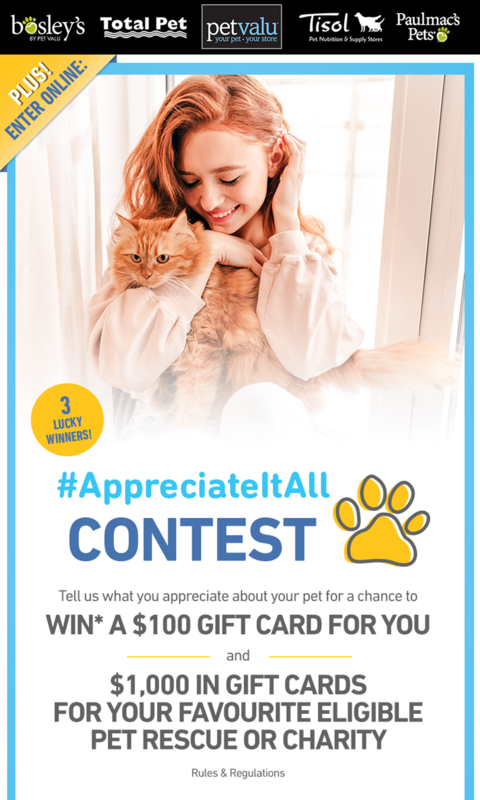 **Your Statement and Pet's name will appear in our #AppreciateItAll gallery with your photo should you include one. † For more information on the privacy practices of Pet Valu Canada Inc. or to unsubscribe or withdraw your consent for any communications from us, please visit petvalu.com or contact us online or by mail at Pet Valu Canada Inc., Attn: Pet Valu Group Privacy Officer, 130 Royal Crest Court, Markham, ON, L3R 0A1. This promotion is in no way sponsored, endorsed or administered by, or associated with, Facebook. You are providing your information to Pet Valu Canada and not to Facebook.